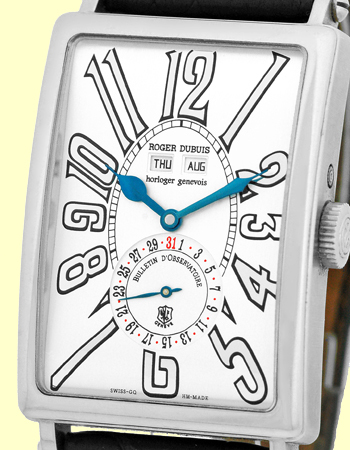 Large Gent's 18K White Gold Roger Dubuis "Much More Triple Calendar" Strapwatch. 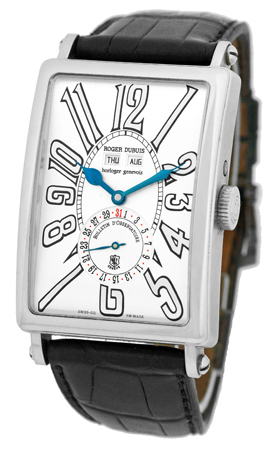 Silver Dial with Silver Arabic Numerals, Day/Date/Month Indicators, and Sapphire Crystal. 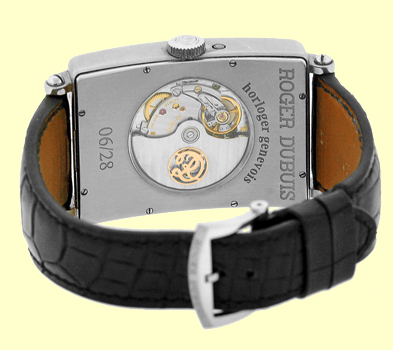 Highest Quality Black Roger Dubuis Crocodile Strap with 18K White Gold Roger Dubuis Tang Buckle. Limited Edition Only 28 Pieces Ever Made. Handmade Swiss Automatic Movement with Sapphire Exhibition Caseback. 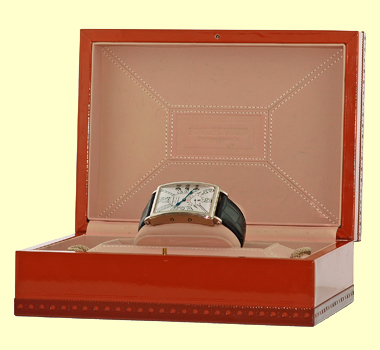 Like New, PERFECT Condition with Large Wooden Roger Dubuis Box, and complete with Capetown's Lifetime Warranty! !